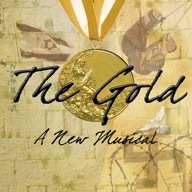 Wednesday, 3 June: Auditions for The Gold through Cindi Rush Casting. Friday - Saturday, 5 - 6 June: Auditions for Million Dollar Quartet on Norwegian Cruise Lines through Daryl Eisenberg’s office. Wednesday - Friday, 10 - 12 June: Auditions for The Pride of America through Daryl Eisenberg’s office. Wednesday, Thursday, 17 - 18 June: Auditions for Joseph and the Amazing Technicolor Dreamcoat through Joy Dewing’s office.